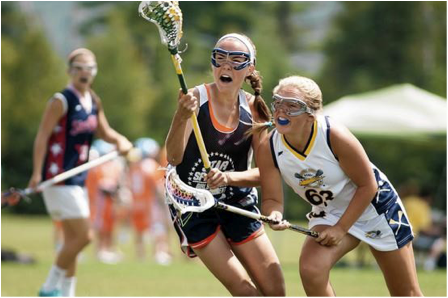 August 8, 2012 -- Aleah MacKay loves playing lacrosse at her high school in Nashua, N.H. But the 16-year-old junior admits that "the driving force" behind her dedication to the sport is "to earn a scholarship to a top Division I school." To boost her skills and get the attention of college recruiters and coaches, her parents say they spent about $4,000 sending her to six intensive summer sports camps and one clinic at a Division I school, which is generally a big-name university with millions of dollars in sports funding and televised sports teams. Aleah also used an online service that promises to match high-school athletes with college coaches. With tuition for a four-year private university topping $250,000, families are eager to tap some of the $2 billion that the National Collegiate Athletic Association estimates is granted in athletic scholarships for the 23 NCAA sports each year. Families are hiring private coaches with specialties—like linear speed tutors to perfect a child's gait. Others are enlisting recruitment consultants and seeking out videographers to make professional-looking highlights reels. 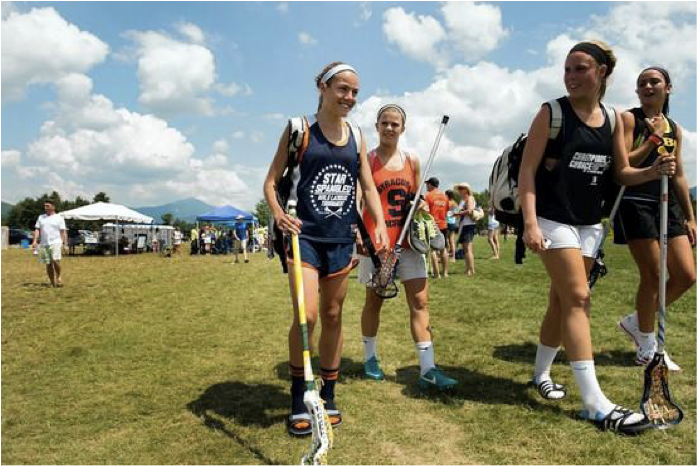 Many college-athlete hopefuls attend summer training camps, some that include the chance to network with college coaches—a rare opportunity since it isn't allowed by NCAA rules until a student's junior year. Some students, like Aleah, register with websites that promise to connect them with college recruiters and coaches. Even with such preparations, an athletic scholarship is, statistically, unlikely. For men, 59.2% of sports scholarships are given just to football and basketball players, according to Patrick O'Rourke, founder of the data website Scholarship Stats. In 2010, a student who played high-school sports had a 6% chance of playing any college varsity sport, in any division, according to Scholarship Stats, which bases its numbers on U.S. Department of Education data. For Division I schools, chances were only 3.7%. Aleah MacKay, left, used an online recruiting service to increase her chances for a sports scholarship. Her parents also spent about $4,000 for sports camps and a clinic. College coaches say that in many instances, such as when there are no individual rankings, they often rely on the online services to find the superstar athlete in the haystack. Other times the student profiles just take up space in a coach's inbox. "I have not seen any useful data for fencing with regard to recruiting services," said Michael Aufrichtig, head coach of Columbia University's fencing team, in an email. "If they were to…tell me how many five-touch bouts they won, along with scores and percentage of wins in overtime situations, that could help. Now I just get an email with a name and some results," he said. Even if athletic prowess doesn't lead to a scholarship, it may make an athlete more attractive to a selective schools, which can then entice the student to attend and play by offering other types of financial aid. At the recruiting service beRecruited.com, student athletes can register a free profile and create a digital résumé with their athletic and academic stats, videos and photos. They can bookmark schools and programs, which automatically notifies coaches of their interest.